My very own illuminated Moon - spacekids - space toys, dressing up costumes, kids spacesuits, astronaut food, cool space stuff! 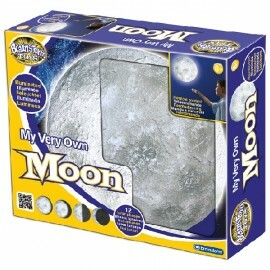 Bring the moon into your own room with the Brainstorm Toys RC Illuminated Moon. This authentically detailed model of the moon is designed to hang easily on your wall like a picture and the realistic moonscape shines moonlight just like the actual moon. 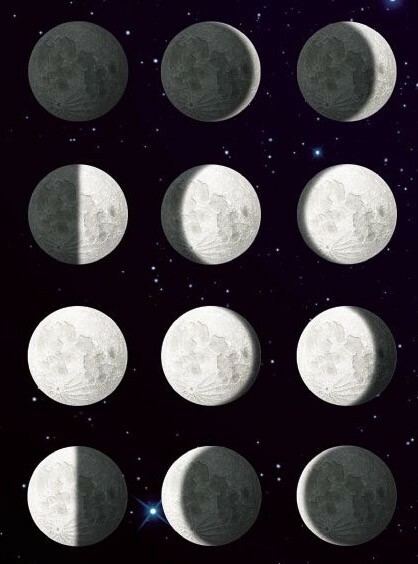 Use the remote control to automatically scroll through twelve illuminated lunar phases or use the manual function which allows you to set your own moon to look just like the moon outside from a new moon all the way to a full moon. 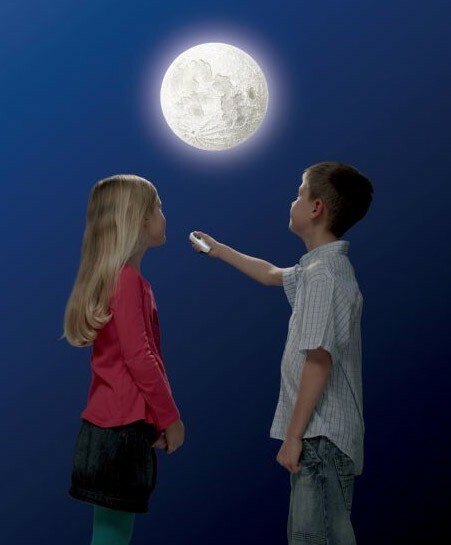 The moon also includes an auto shut-off mechanism to preserve battery life, making this item perfect for bedtime. 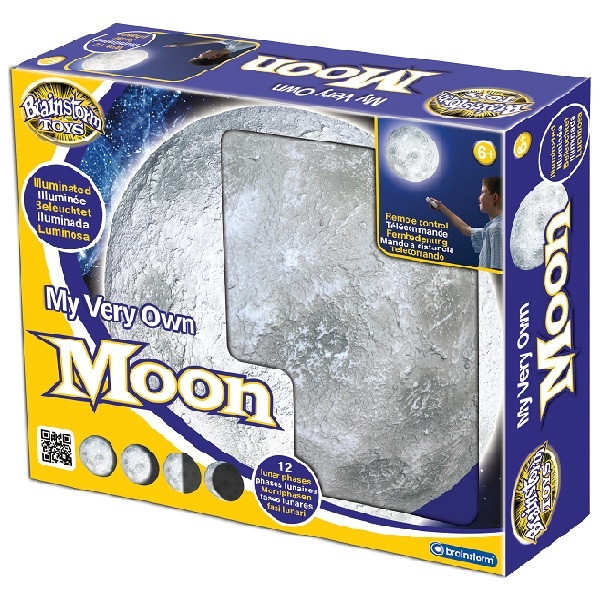 It is really easy to set up and no mains electrics are required, it is powered by just 4 x AA batteries in the moon and 2 x AAA batteries in the remote. You can also read fascinating information about the moon in the colourful educational booklet included. 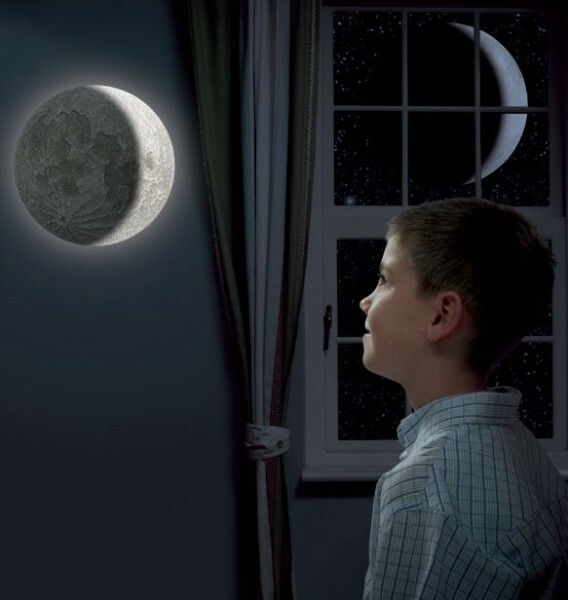 This detailed moon makes a stunning room accessory or a reassuring night light.